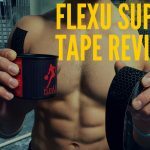 Home » FlexU Supreme Kinesiology Tape Review – Better Than Other Brands? FlexU Supreme Kinesiology Tape Review – Better Than Other Brands? 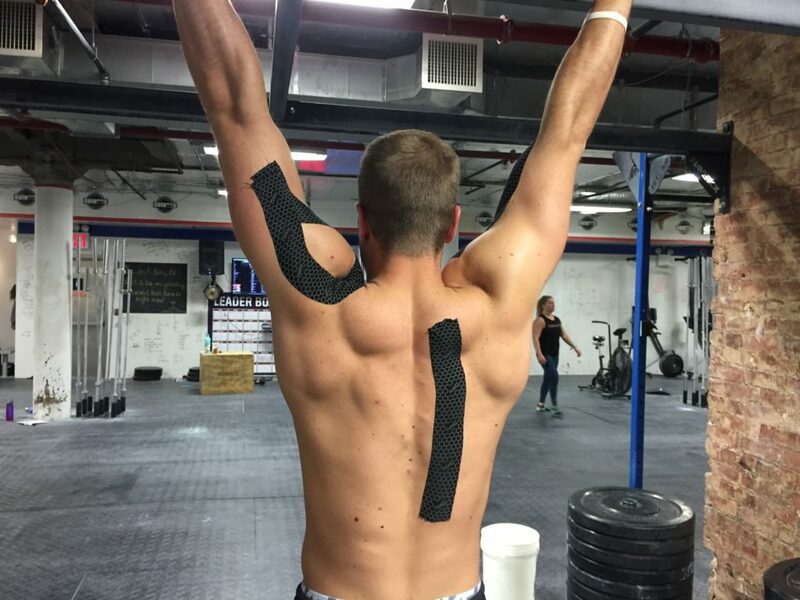 FlexU Supreme is a kinesiology tape that’s very popular on Amazon. There isn’t an incredible amount of information about this tape online, nor is there a place to learn about this company’s history. The FlexU tape is designed with a synthetic fabric, and offers a hypoallergenic adhesive. They state, like most tapes, their rolls can help reduce muscle pain, enhance blood flow and lymphatic fluid circulation, and provide joint stability. With little information on this tape, but their online popularity, I was intrigued to put this tape to the test. This tape is a synthetic blend, so in terms of stability it’s a little stiffer than other cotton based tapes. Yet, it wasn’t the stiffest synthetic I’ve tried, but I found it to offer plenty of support for my joints of choice. They state that the tape itself is a durable rayon material, which gave it a nylon-esque feel, and put it on the softer side of synthetic tapes. I thought the tape did a pretty good job at remaining in place through movements, so it was a cool balance of a stiffer, yet mobile synthetic tape. In terms of joint support, the tape’s adhesive was definitely the star player. It pulled the muscle up well and provided a tension over prolonged periods. One thing to keep in mind with this tape is that if you’re looking for a softer, less noticeable tape, then this won’t be your best option. Compared to other synthetic tapes, I liked how FlexU Supreme felt on the body. At first I was a little skeptical of the tape, but as I progressed through my workout I began to enjoy it more. There was never an issue with edges coming up on muscle creases, so that aspect made me a fan of this tape’s fit on the body. The balance of the rayon and synthetic blend made this tape pretty resilient to absorbing sweat, too, which was also a plus. One thing to note, is that the adhesive is pretty strong, so you may experience some skin irritation if synthetic tapes bother you. As mentioned above, this tape is a synthetic blend. Their website states that it’s a rayon fabric and is latex free. Personally, I think they could do a better job at elaborating on what the blend entails. Their website lacks information about the tape, and whether it’s all rayon, or has addition fabrics added. They also state the tape has “superb, latex free, hypoallergenic adhesive properties,” which to me sounds a little over the top for a tape. 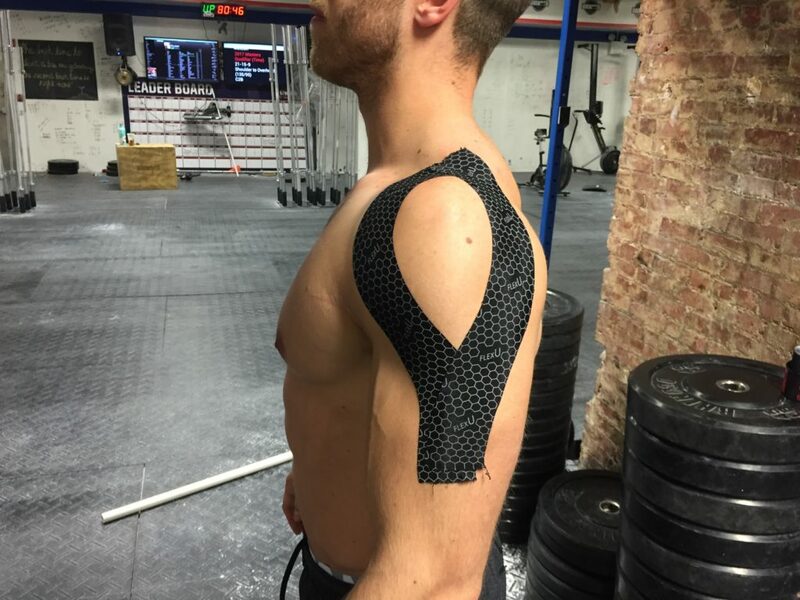 It’s a form fitting tape, but it’s definitely a little rougher on the skin compared to some of your cotton blends, so sensitive skinned athletes may fair better with a softer option. They claim their tape can stay on the body for 5-7 days and is waterproof. I can see this being true, as the tape did a pretty good job at resisting sweat and avoiding creasing. Personally, I found the tape’s rayon blend to be durable under strenuous loads and kept a fair amount of tension even after two workouts in the same day. I think this tape did a pretty good job at stacking up to stiffer options pretty in regards to long lasting affects. The resilience to water was possibly the best part to this tape’s durability. The price of FlexU tape varies pretty greatly due to Amazon sales and regular prices. For packages at regular price you can expect to pay around $18.00 for one roll, $44.95 for three, and $80.00 for 115-feet. I feel as though these prices are pretty high for a kinesiology tape, but Amazon frequently has sales on this tape, so the price is often lower. For example, right now with their sale, one roll is $12.45, three rolls are $24.95, and the 115-foot option is $49.95. In terms of durability and stability, I liked the FlexU Supreme kinesiology tape. It was form fitting to the joints and offered a pretty good adhesive to avoid premature creasing. My issue with the tape comes with the lack of available information and price. I thought they could do a better job at offering what each roll of tape entails, especially since it’s a synthetic tape. Also, the varying price can be both a good and bad thing for consumers. 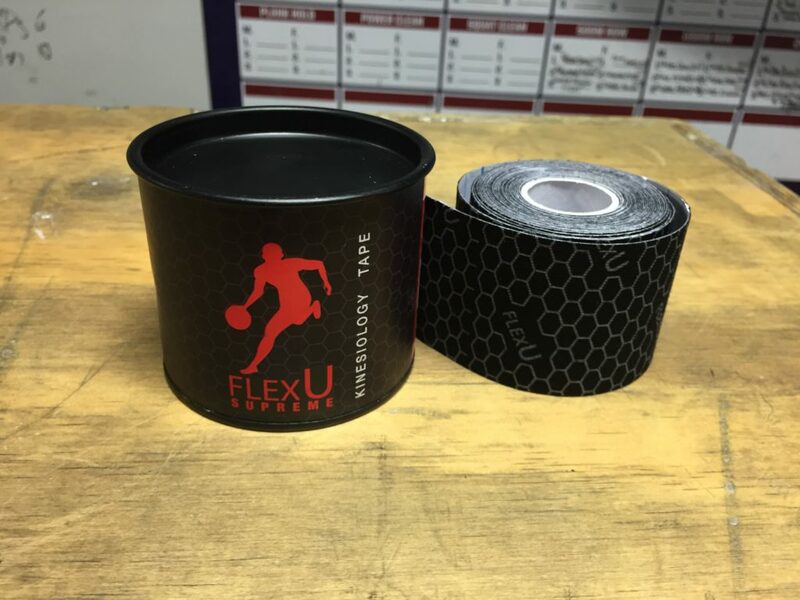 If you’re looking for a synthetic tape that offered stability with a lighter feel, then the FlexU Supreme tape may be a good choice for you.